Popularity of Apex Legends is off the charts now a days with great number of new players starting the game every day. A major reason for its popularity is the count of characters that are featured in the game. Each with its own unique set of skills and specialties. 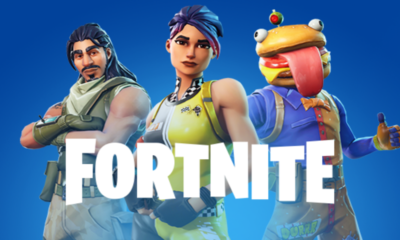 Although basic genre of the game is first-person shooter but with each character having a special ULT, gameplay becomes much more fun. The only thing missing from “Titanfall” in this game would be gigantic robots. Still having a lot of specialists at your disposal with distinctive abilities, you must have the basic idea of how to make the best use of them. As the game will offer a number of encounters with enemy players using different heroes. You should know about their specialties and also about your character’s strength so you can survive the fight. This guide will tell you about some unique abilities of “Mirage” the Holographic Trickster. His abilities can confuse enemy players with tricks showing him as 2 players. This ability can give you big time advantage in confined situations. 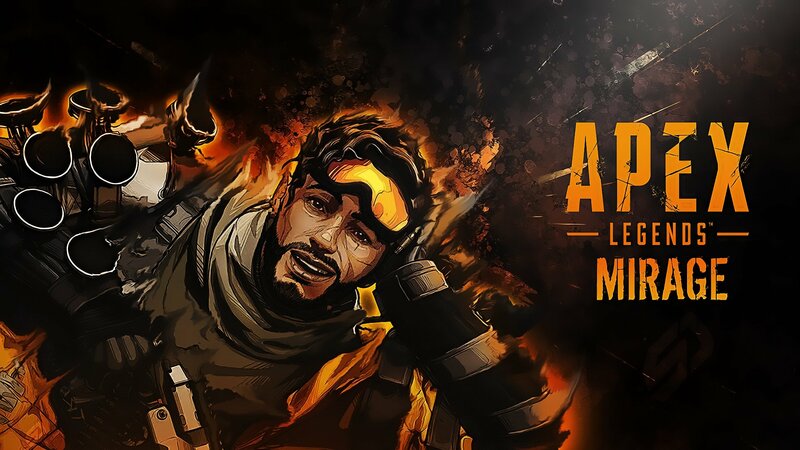 Some players might not find these abilities very useful at the start but as you learn to play with Mirage, he can become your permanent companion in Apex Legends. Mirage is commonly known as Holographic Trickster in the game. His character falls in one of two unlockable heroes of the game. You all probably know about the other one called: “Caustic”. Mirage’s abilities are perhaps second to none if used correctly. But many players avoid playing with him because of the character’s simplicity. Yet Mirage can easily trick opponents by using his tactical ability known as Psyche Out. This ability will allow the hero to produce a clown from nowhere that will run in front of him and will deceive enemies into thinking him as of actual player. You can easily kill 2 or 3 players in close combat using this ability. As the enemy players will draw fire to the decoy, they will become vulnerable. Mirage’s Psyche also uses AI to function in different environment. You may not want to use this ability when shooting straight at the enemy. Try to deploy the decoy in the situations where you are uncertain about the enemies in the area. You can also use this clown to help your teammates; providing them a shield against enemies (a clown who would take bullets for your squad). For new players, this trick might be difficult to get a grasp on. Following guide will show you how you can use this and other of Mirage’s skills perfectly. Passive Skill: Encore- When knocked out by enemies, Mirage will deploy a decoy automatically and will disappear for 5 seconds. Gameplay: A fine ability of Mirage kicks in when you get knocked out by enemies. Instead of giving enemy the chance to finish you off, your hero will disappear from the ground for nearly 5 seconds. A decoy will take its place on the battlefield to trick enemies. This clown will not appear exactly as your hero but will also exhibit a false death animation, giving you enough time to crawl away from the hostile area. Tactical Skill: Psyche Out- Deploy a decoy just like your hero to trick enemies. Gameplay: Using the tactical ability will drop a clown of your hero in front of your character at the ground. He will run towards enemies to distract them. You can easily kill them while they are busy firing at your clown. Other than just distracting enemies, your decoy can also play mind games with enemies. For example, if you use this ability while being deployed, the decoy will look like another member of your team confusing the enemies. ULT Skill: Vanishing Act- Your hero drops a team of clowns. Gameplay: Mirage’s Ultimate ability is a copy of Reaper’s Psyche ability from Black Ops 3. It is basically a combination of Encore and Psyche Out abilities. Your character will disappear from the ground and will allow his holograms to confuse enemies. You can use this ability to great use by getting out of tight spots or killing a squad of enemies with quick firing. Best time to use this ability would be to provide an edge to your team when they are being pinned by enemy forces. But like every other super power, Vanishing Act has a loophole. With extreme focus, enemies could see your movement as your character will leave a silhouette and will be vulnerable to enemy fire during the ability time. Mirage is more of a support player for his squad. He is perhaps not a tide changer during the match. You still get to pick and play with the weapon of your choice. So, no downfall there. And if you are willing to play patiently with your squad; Mirage can prove to be a really good addition in your team.